View Cart “Jack Grout: A Legacy in Golf” has been added to your cart. As a mountain climbing guide, it is Vern Tejas’s job to climb the tallest mountain on each continent. Always rebellious, Tejas never met a challenge he couldn’t overcome, even the daunting task of climbing Mount Everest. In fact, he climbed all of the tallest mountains on each of the seven continents more than ten times each. 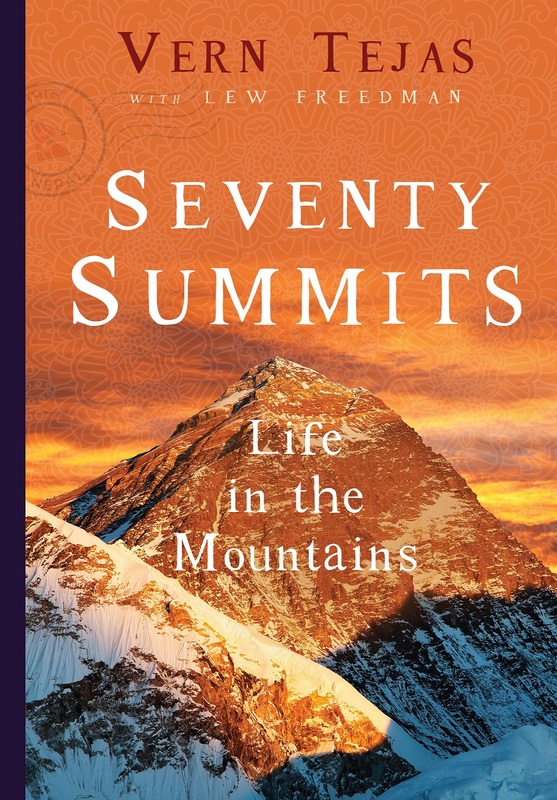 In his story, Seventy Summits you will read about the beauty, danger, and surprising freedom of mountain climbing and what it has given him throughout his life. SKU: BD70471. Category: Sports & Recreation. Tags: Lew Freedman, Mount Everest, mountain, mountain climbing, Mt. Kilimanjaro, Mt. Koscuiszko, Vern Tejas. Tejas battled the extreme cold of Denali and scaled Aconcagua and its windy slopes. Mont Blanc provided beautiful views, but Tejas towered over the European continent on Mt. Elbrus. The Roof of Africa is attempted by 35,000 people each year, but Mt. Kilimanjaro wasn’t as friendly as it looked. Antarctica’s Mt. Vinson boasted the last true frontier at a steep price tag. As a guide, Tejas got paid to climb it. Mt. Koscuiszko, Australia’s tallest mountain, was practically a stroll in the park at 7,310 feet. Finally, Tejas climbed tallest mountain in the world: Mt. Everest. Then he climbed them all ten times each. Vern Tejas is a mountain climber and guide from Mahwah, New Jersey. He currently hold the world record for fastest climb of the Seven Summits and was the first person to solo summit Mt. Vinson in Antarctica as well as several other mountains. He was named one of the top fifty Alaskan athletes of the 20th century by Sports Illustrated and was inducted into the Alaska Sports Hall of fame in 2012. Lew Freedman is the author of more than 90 books including dozens of biographies for adult and school aged readers. He also enjoyed a long career as a journalist and newspaper editor for the Chicago Tribune, Philadelphia Inquirer and the Anchorage Daily News. The author currently resides in Columbus, Indiana. Coach Blythe Lucero has another amazing swimming drills book out titled, 100 More Swimming Drills. To swim better, we have to swim more efficiently. While good technique is the foundation of efficient swimming, it is difficult to achieve by simply swimming lap after lap. Ongoing stroke problems leave many people feeling unrewarded by swimming. Stroke flaws can slow a swimmer’s progress, and can even lead to injury if continued over time. For these reasons, swimming drills are a fundamental and ongoing element of practice at all levels of the sport. Swimming drills are the primary tools in developing and maintaining solid stroke mechanics.